The J.G. 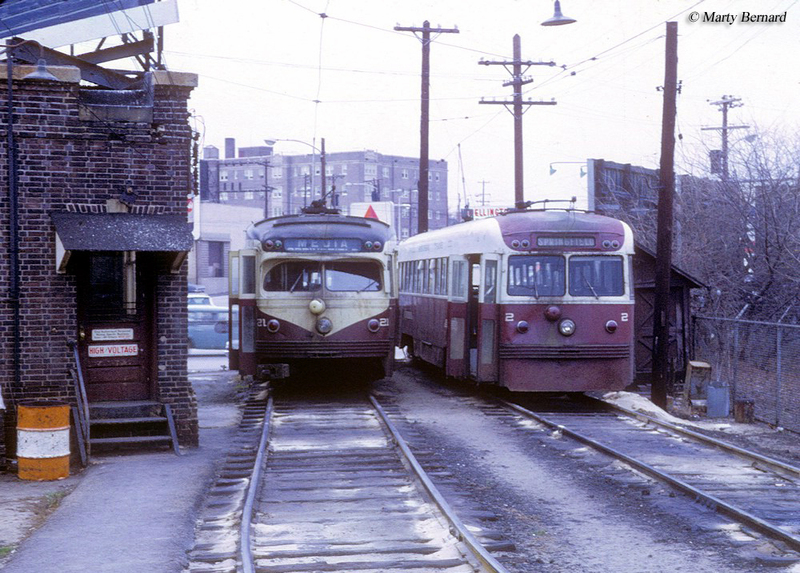 Brill Company became a leader in the streetcar industry for its development and construction of lightweight and inexpensive cars. 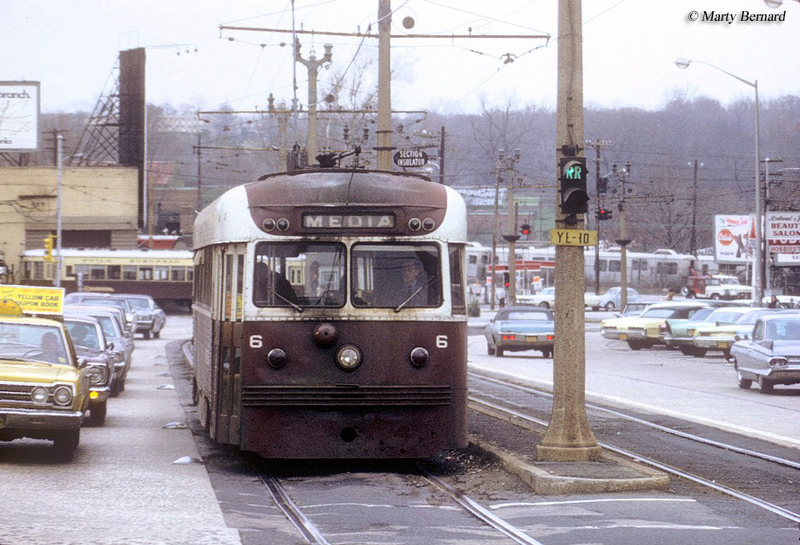 Like most car builders such as the St. Louis Car Company and Cincinnati Car Company, Brill focused mostly on streetcar designs and less so on interurban equipment due to the fact that there was a larger market for the former. The company's history dated back to the industry's infancy in 1860s when horses were still the primary means of motive power, hauling carriages through dirt or muddy streets. While Brill got its start building horse-drawn streetcars and was poised to reap the profits from the electrified street railway boom in the late 19th century and began building heavier and longer equipment to match. It also constructed passenger equipment for main line railroads and even buses in later years. As the industry declined in the 1920s and 1930s, so did the J.G. Brill. After various mergers the company finally disappeared altogether in 1954. The history of the J.G. Brill began in 1869, in Philadelphia, when John George Brill and son George opened the J.G. Brill & Company to accommodate the growing streetcar systems popping up around the country (John had a somewhat extensive background in the industry even at the point as he had built early streetcars for the W.C. Allison & Sons Company). As mentioned above, at the time these operations were very small, serving mostly small to medium-sized towns, and operating with horse or mule power. The new builder quickly became recognized for its excellent craftsmanship and well-constructed equipment. After less than 20 years of business the Brills renamed their operation as the J.G. Brill Company and moved into a larger facility in Philadelphia located at 31st and Chestnut Streets. During the company's early years of car construction it tended to operate more as a custom-order business, offering equipment for main line railroads (including narrow-gauge), street railways, and early electric-powered cars. For instance, it cataloged small coaches that were lightweight yet elegant, one of which built and owned by the Virginia & Truckee Railway is now preserved at the Nevada State Railroad Museum. However, after renaming the company in 1887 the Brills decided to focus on just one market, in this case street railways and began to tailor equipment to such operations. Its first designs were small and very simple featuring just one large, two-axle truck (or two single axles). While J.G. Brill was founded in 1869 it took 30 years and the age of the interurban for the business to truly shine. Buffered by the demand for early streetcar designs Brill began rapidly expanding around the turn of the 20th century, much of which was helped because of the growth of the interurbans. In 1902 it acquired the American Car Company, and in 1904 took over the G.C. Kuhlman Car Company, John Stephenson Company, the Wason Manufacturing Company in 1906, and the Danville Car Company in 1908. Keeping the original names, Brill now had plants in New Jersey, St. Louis, Illinois (Danville), Cleveland, and Massachusetts (Springfield). By 1912 the company had even expanded internationally into Paris. 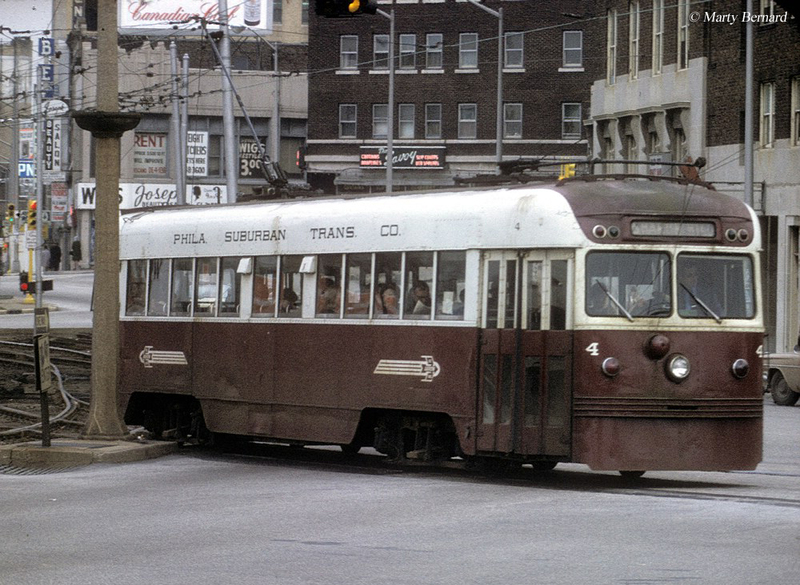 During Brill's peak years it was the largest streetcar and interurban builder in the country. 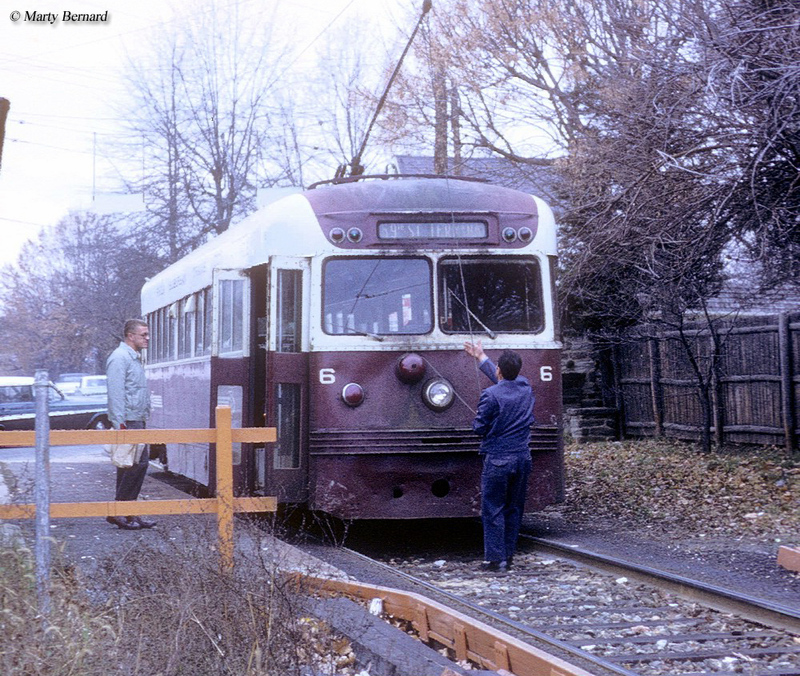 It held numerous designs that were copyrighted including the Brill Convertible Car (which could operate either enclosed or open-air), the semi-convertible, the “Narragansett” car, articulated designs for high speed running, the streamlined Bullet cars, and Brilliners that were meant to compete with the highly successful PCC design (the Presidents’ Conference Committee streetcar, developed by the streetcar/interurban industry itself). Brill also built standard interurban heavyweight cars constructed of wood, and later steel. Perhaps Brill's greatest business risk was the purchase of the American Car Company. In 1916 the Birney Safety Car, or simply the Birney, was designed by Charles O. Birney an engineer who worked for Stone & Webster, and engineering services company that is still in business today. While other builders came to manufacturer the Birney none built more than the American Car Company. The design was simple, inexpensive to operate, and small, suiting the needs of both street railways and interurbans with street service. It once again featured the single-truck car design and was about 28-feet in length capable of holding just over 30 passengers. The car featured dual motors giving it quick acceleration and because of its small size could be operated by a single motorman. At the time of its development both industries (street and interurban) were looking to cut costs wherever possible as automobiles were increasingly cutting into profits. For instance, the Terre Haute, Indianapolis & Eastern Traction Company found the Birney offered such great cost savings that it purchased an entire fleet of them for use in Terre Haute. In 1916 alone some 187 were built and by 1920 construction peaked at 1,699. During that four year span there were nearly 4,200 Birney Safety Car built. Unfortunately, the car's successful traits led to its downfall. Featuring only one-truck the Birney was prone to sliding off the tracks and its lightweight resulted in a rough ride. Additionally, it was not very suitable to winter weather conditions and could get stuck in any type of moderate snow. By 1930 production of the car had ended altogether across the industry. By the 1920s the J.G. Brill Company was feeling the affects of the decline of both street railways and interurbans, as both were taking fewer and fewer orders. In 1926 it was purchased by the ACF Motors Company and the merger between the two resulted in the ACF-Brill Motors Company of 1944. Two years later ACF was purchased by the Consolidated Vultee Aircraft Corporation and after another eight years of mergers and takeovers the Brill name was completely dissolved in 1954, ending nearly 100 years of manufacturing railroad equipment. Today, numerous examples of Brill cars remained preserved around the country.